Bring out the Wicked side of your style on campus. 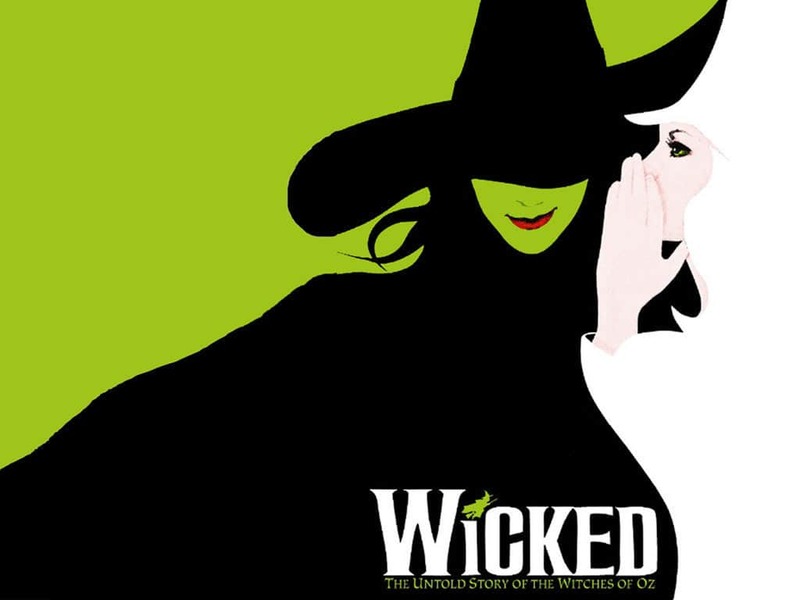 As you may remember, we’ve covered Wicked in the past as part of our stage inspiration series. But seeing as the musical is getting its own movie adaptation in December of 2019, we thought it would be great to revisit this spectacular show once again—only this time, we’re focusing on the school outfits worn by the students at Shiz University! Heads up: Wicked: The Untold Story of the Witches of Oz, or Wicked, is a critically acclaimed musical written by Broadway composer Stephen Schwartz (theater buffs might recognize him from Godspell or Pippin). Based on the best-selling novel by Gregory Maguire, the show tells the story of the Wicked Witch of the West before she became, well, wicked. Besides addressing themes of racial prejudice and good versus evil, it’s got an epic backstory, killer songs, and incredible costumes to boot. If you haven’t seen Wicked yet, I highly recommend prepping yourself up for the rest of this article by watching the Youtube clip below! It’s one of my personal favorites: “Defying Gravity,” with Idina Menzel as Elphaba. Or, if you’re interested in the underlying dynamics of the show, here’s an interesting article about the political satire prevalent in the show. Without further ado, here are four fashionable sets influenced by Wicked’s very own Shiz University alumni (caution: some spoilers ahead)! The Wicked Witch of the West starts out life as Elphaba, an underappreciated yet kindhearted soul. 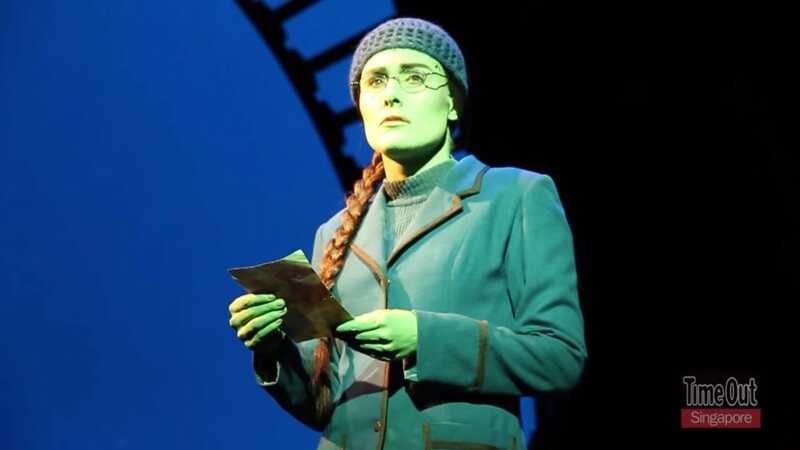 Entering Shiz University as the caretaker to her little sister Nessarose, Elphaba tries her best to blend in to the crowd—something that’s a little hard to do when a) your skin is as green as a fresh pickled toad and b) you can perform great and powerful acts of magic. 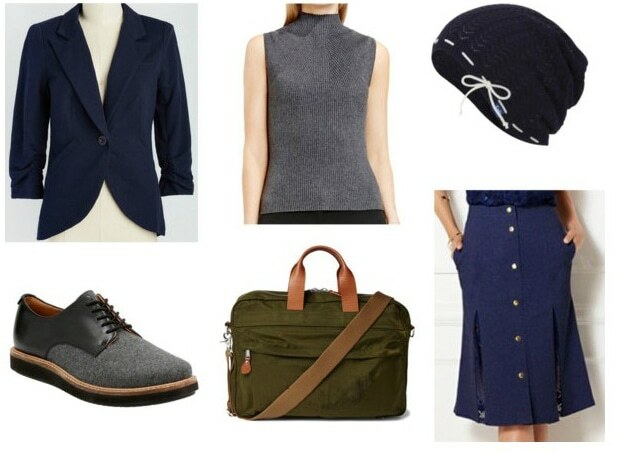 Channel Elphaba’s navy schoolgirl outfit in your wardrobe by sticking to muted colors (navy and grey work well) with a hint of green. Keep it modest to let your daring personality shine through! Before she becomes Glinda the Good Witch, Galinda is just a spoiled, super girly teen who’s primarily interested in popularity and all things pink. Enter Elphaba as a college roommate and the two, after a tempestuous beginning, form an unlikely friendship. 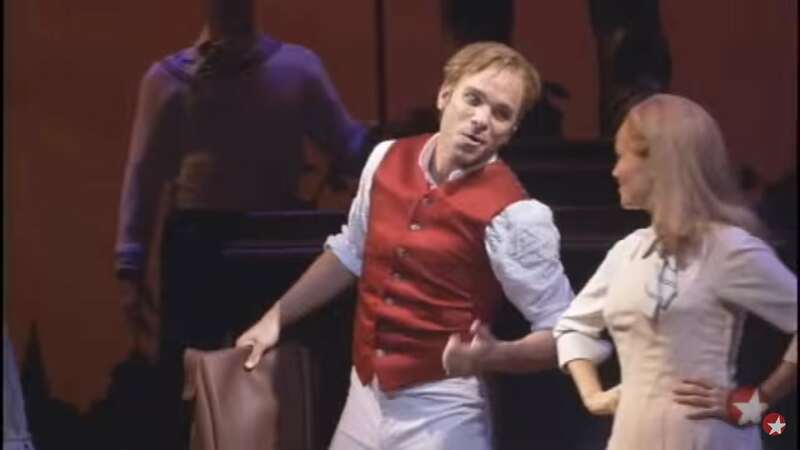 Elphie and Galinda’s relationship is actually the strongest in the entire show and their duet “For Good” is a guaranteed tearjerker. 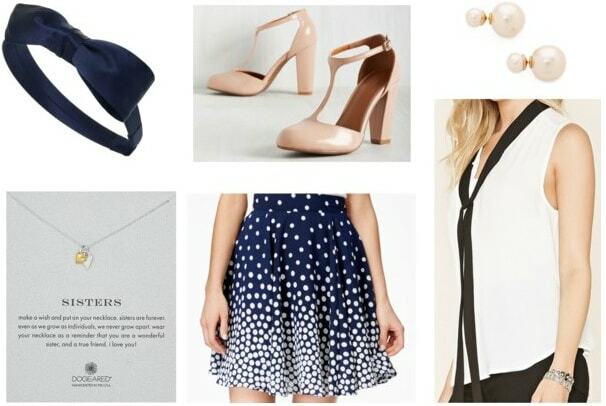 Transfer Galinda’s pep to your school outfits by investing in flowy skirts, preppy blazers, and a whole lotta pink. Although it’s not so wearable in real life, I had to finish the look with a shiny tiara for that Galinda flare. Fiyero, or The Scarecrow, enters Shiz University as a rich, superficial space cadet (can you see why he needs that brain?) who’s just interested in “Dancing Through Life.” While he and Galinda spark up a relationship at once, the love at first sight trope is soon subverted when he starts developing feelings for her smarter and politically-minded BFF, Elphaba. Uh oh. 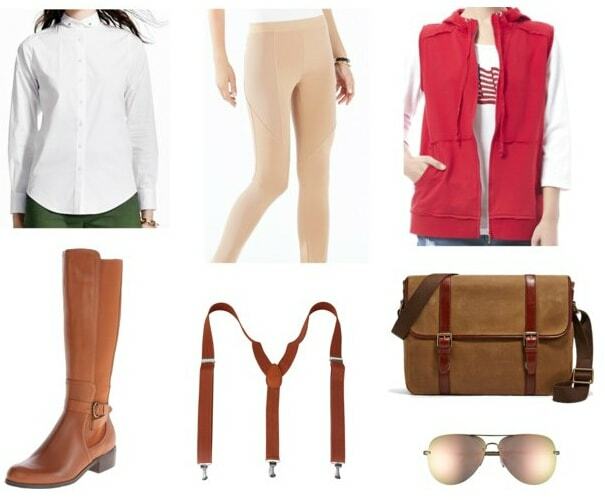 Emulate Fiyero’s c’est la vie attitude with a button-down shirt (minimal buttoning, please) and brown statement pieces. Include a pop of red for his signature glee or sunglasses to showcase his calm demeanor. 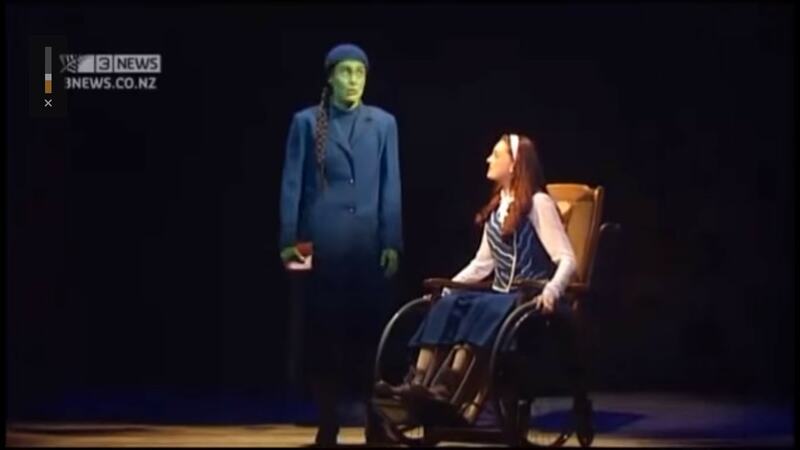 Elphaba’s sister, The Wicked Witch of the East, is known as Nessarose, or simply “Nessa,” at Shiz University. She’s definitely on the unpopular side and, because of this, looks up to Galinda and obsesses over her own crush, fellow student (and Munchkin) Boq. Though Nessa is completely enamored with him, she’s blind to the fact that Boq is actually in love with Galinda. Copy Nessa’s tragic, love-stricken personality and buttoned-up schoolgirl look by sticking with a color palette of navy and light pink. Put on a cute necklace to channel her sister-sister relationship with Elphaba and you’ve got Nessa’s style down to a tee! Are you a big fan of Wicked? What’s your favorite song and which character do you most identify with (style-wise or personality-wise)? Are you as excited for the upcoming movie adaptation as I am? !